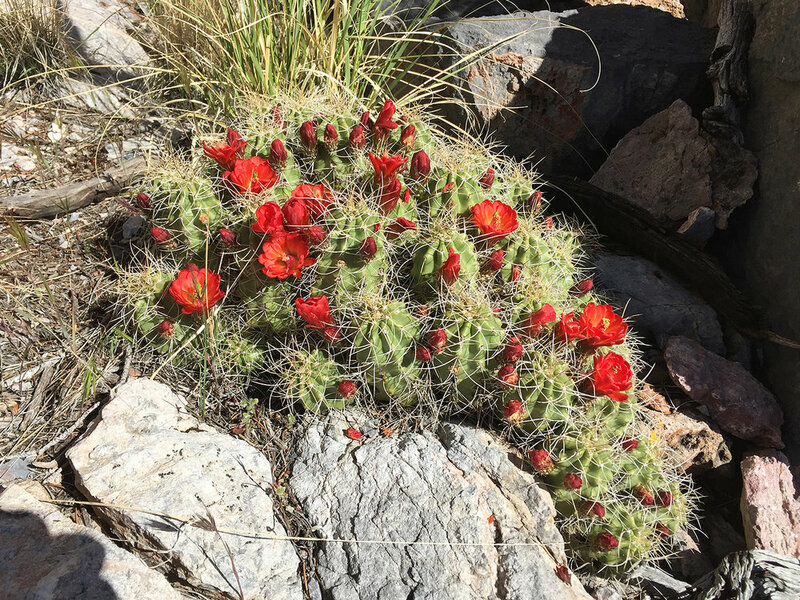 The barbs of the chollas go straight through most any shoe. Experienced hikers carry pliers to pull them out. The brown rock is a boundary marker- not so easy to find. 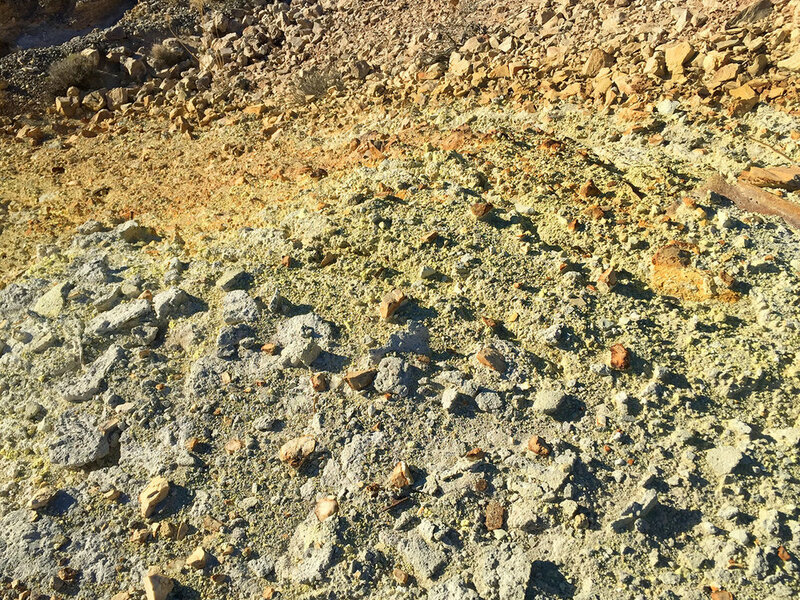 I found it with a compass only, some cheated and used GPS. 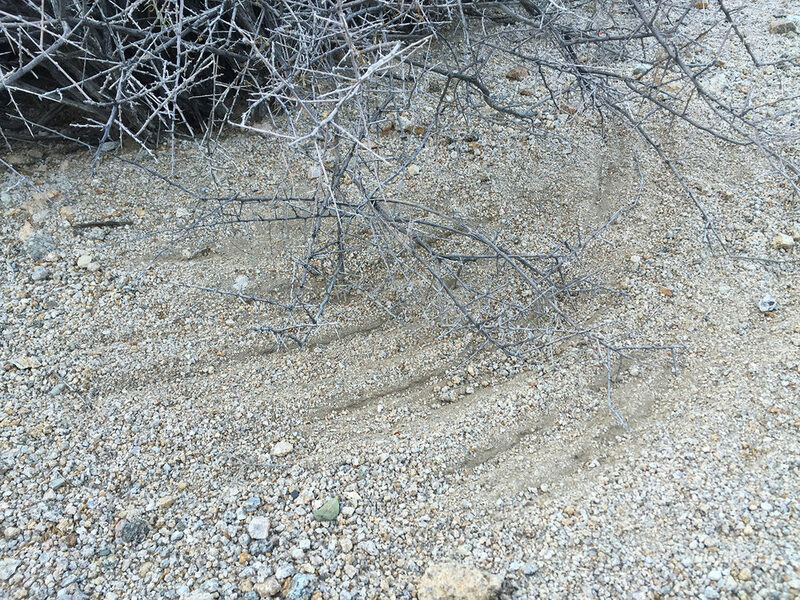 The twitchy bushes in the wind carve interesting tracks. Peak registers often elicit emotional responses. Clark Mountain (7,933 ft) is the highest peak of the Mojave National Reserve. Beth and Alex discuss the best approach. View to the North. At night the glow of distant Las Vegas might be visible.